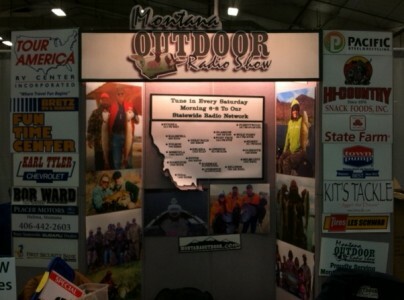 See You in Billings this Weekend at the Great Rockies Sport Show! Billings is the place to be this weekend! The Great Rockies Sport Show will be hosted there, at the Metra Park, and you don’ t want to miss the this event! Some of the features include: The North American Shed/Antler Display and Big Shed Contest, meeting Brutus (the 800-pound Grizzly bear) from the NatGeo television show “America the Wild”, the Billings Boat Show, a kid’s catch and release trout pond, and that is barely scratching the surface!!! 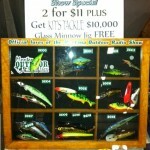 This year, when you buy two guaranteed lures for $11, you will get a $10,000 Kits Tackle glass minnow jig FREE (yes! really!). It’s the same jig that Kit and Trevor Johnson used when they won last year’s Canyon Ferry Walleye Festival and took home $10,000.